As I wrote last week, I believe that Apple exited the home Wi-Fi market at precisely the wrong time. Back in 2004, I worked for a company that was trying to get into the home integration/home automation market. At the time, everything was extremely complicated. All of the products were expensive, everything was complicated to set up, and it wasn’t set up well for future growth. Fast forward to 2019, and things have changed a lot. Between Amazon Alexa, HomeKit, and Google Assistant, it couldn’t be easier to build a smart home that’s easy to manage, easy to interact with, and easy to upgrade in the future. The topic I want to look at today is whether or not Apple is doing a good job at managing and marketing its HomeKit platform, how its Home strategy is working, and the risks for the future. 2. Setting HomeKit up to succeed against Alexa and Google Assistant. When I was walking around Costco, I saw countless displays for things related to Google Assistant. I saw a large Nest (owned by Google) display showing off their cameras and doorbells. I saw a Ring Doorbell display a few feet away (Ring is owned by Amazon). I saw multiple displays for Google Home minis as well. Apple has a display at Costco, but it’s mainly for iPads with a single HomePod. HomePod, as we all know, is primarily marketed as a premium speaker over its role as a virtual assistant. Seeing this really got me thinking about the state of HomeKit, and how it’s perceived from consumers. When you walk around a store like Costco, Google Assistant and Alexa feel alive. You start to wonder about all of the things you can do with it. Google released a Christmas ad that redid some scenes from Home Alone, and it was wonderful. That commercial and my experience at Costco has really cemented the fact to me that Apple is playing a dangerous game with its Home strategy. They’re moving too slow compared to the competitors. I am not talking about Siri either. I enjoy Siri, but I also see how Alexa and Google Assistant are moving faster than Apple (from what we can see). I am talking about how I feel general consumers see the platforms through each of the various marketing efforts. I’ve used all three of the platforms, and I prefer the Home app over the others. I prefer onboarding in HomeKit as well. Everything is very Apple-like in its implementation. My frustration with HomeKit has nothing to do with how it works. It comes down to its branding and compatibility with products. In 2018, we saw Google release countless products dedicated to Google Assistant. I’ve got a few friends who picked up the Home Hub and they love it. We’ve seen Amazon experiment with new Alexa based products. Both companies are trying out different form factors to evolve the uses of their virtual assistants. We’ve seen companies come up with interesting use cases for these platforms thanks to their APIs. What did we see from Apple in 2018? When I look back to HomeKit in 2018, outside of HomePod, did we see any new developments? We still don’t have doorbells on the market that are compatible. We still are very limited with HomeKit cameras. Google Assistant has its own Nest cameras, and Alexa is compatible with multiple products in these areas. The HomePod is the primary way to interact with HomeKit from a non-portable device, but it’s still outside of the financial reach of a lot of people. While watching the deals over at 9to5Toys during Christmas, I saw countless deals on Amazon Echo Dots and Google Home Minis. Before you leave a comment about Google and Amazon selling these devices under cost in order to listen to all your conversations for advertising purposes, hear me out. If Apple is truly for our privacy, they need to build products to compete with these lost cost speakers. Right now, its competitor to the Amazon Echo Dot is a $350 speaker. The retail price of the Amazon Echo Dot is $50. It’s a fun product, and it’s an easy gift for someone. It actually sounds pretty good for music as well. We need more of this from Apple. We need products that can be inexpensive gifts. We need products that work in the Apple ecosystem that can be put in every room (that don’t cost $350). Do I expect them to match Amazon and Google’s price? No, but they need to be in the ballpark. 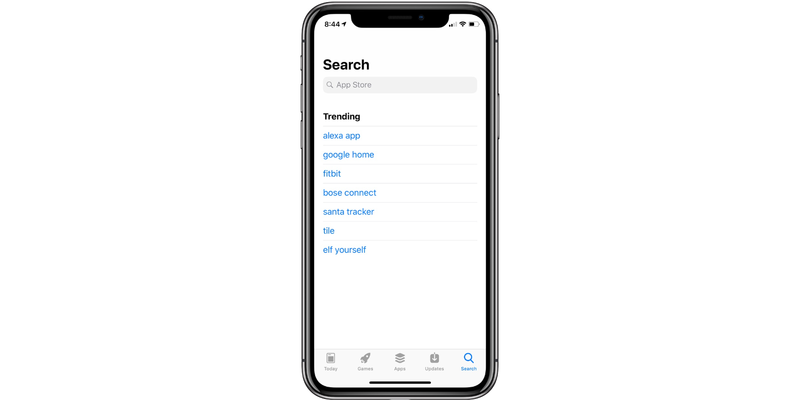 When I looked at the most searched for items on Christmas in the App Store, Alexa and Google Home were two of the trending apps. I think that is pretty telling. If I was in charge of HomeKit at Apple, my first priority would be expanding the products that work with HomeKit. I’d figure out the hold up with manufacturers, and encourage HomeKit support (with the promise of co-marketing resources). If Apple can’t get a doorbell company on board, then they need to build their own. Apple is at its best when it’s not reliant on other companies, and home automation is clearly becoming one of those situations. I’d offer co-marketing dollars to any company building out HomeKit support in their products as well. I’d also start an aggressive “Works with Siri” ad campaign to show off all the things you can do with interacting with your home from iPhone, iPad, Mac, HomePod, Apple TV, and Apple Watch. I’d show the benefits of everything being it in a single Apple ecosystem, and I’d begin the discussion about privacy. I think Apple should have had a much bigger presence at CES than they appear to be as well. 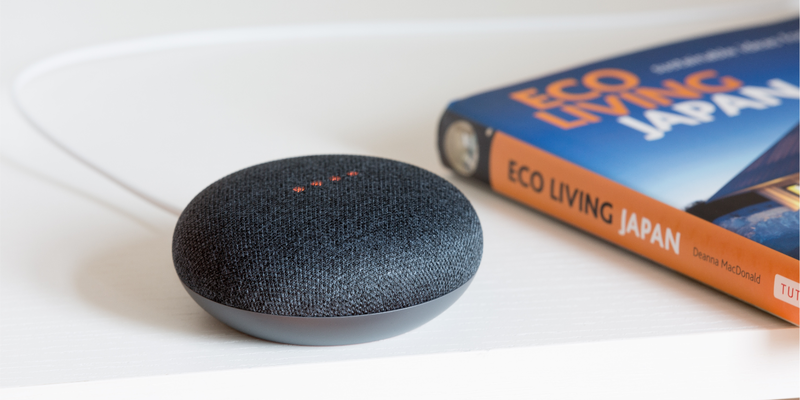 2019 might end up being the year that the general population starts to wake up to what all of these companies know about us, and why putting speakers with microphones in them in every room might not be the best idea. Apple is uniquely positioned to stand alone here as the winner. The above ideas are just a few of the things I’ve come up with. I love HomeKit. I think it’s the best platform for users. It’s easy to use and easy to set up. Apple cares about our privacy, and I can easily recommend HomeKit to everyone. Apple’s problems have less to do with technical implementations, and more to do with marketing and vision. While they are trying to let HomeKit grow slowly and organically, Amazon and Google are moving at light speed. They’re evolving their product lines at a rapid pace, and Apple is playing a dangerous game by not matching their speed. If they continue at this slow pace, it might be difficult to unseat Google and Amazon as the leaders in the home automation environment.